So you volunteered to contribute a little something to the Thanksgiving feast this year—how sweet are you!? So sweet you don’t want to show up with spoiled casserole, I assume. In the interest of helping you out in that realm, a few of Delish’s genius food editors chimed in on what Thanksgiving staples travel really nicely and make sense to bring to your grandma’s house that’s about four hours away…and the ones that don’t. Wow, pretty ballsy of you to promise to take care of the star of the day, no? That said, if you’re not getting on a plane (…please don’t get on a plane with a giant cooked turkey?) and have cooked your turkey so that it only requires minimal reheating when you get to your destination, you’re probably fine. Otherwise, you’re dealing with a heavy hassle on your end and you’re going to monopolize the oven when you arrive. 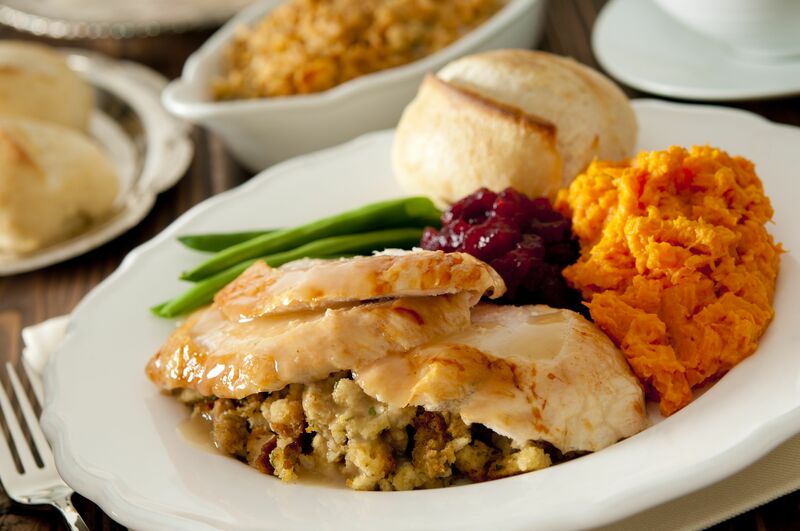 If you’ve committed to turkey, our food team agrees you’ve gotta throw gravy in there too. Traveling with gravy isn’t the worst idea—you’d have to reheat it just a bit when you get where you’re going, but it runs minimal risk of spoiling before then. The team was split on this one: should you really need to do it, ask your host for a burner on the stove and some milk. Re-heating that way is always an option. Yeah, no, a resounding “nope” on this one. Another one not everyone agreed on here. Some editors believed mac & cheese is a spectacular delight when reheated. One disagreed, saying it would be “terrible [to reheat already-made mac upon arrival], because the noodles would get very bloated.” All this is to say if mac & cheese is a Thanksgiving priority, make it fresh, fam. Generally, this particular casserole isn’t a problematic traveler. Our experts agree it’s best you cook the sweet potatoes as you normally would and deal with the topping when you arrive. “Hold off and reheat” when you get there, they advise. A unanimous “yes” here—cornbread is absolutely something that can travel and will hold up well. That’s assuming, of course, you didn’t box it up piping hot fresh out of the oven, put it in the fridge to cool, and then take it with you. To be clear, you should be careful with how you’re packaging up all foods you’re taking with you, so as to avoid any breeding of bacteria. One editor called it “the ultimate travel buddy.” Nobody fought her on it. Yup. All good to go.